When every day is 100 degrees, the only way to cope is with a trip to the lake. Despite having lived in this town for six (six!) 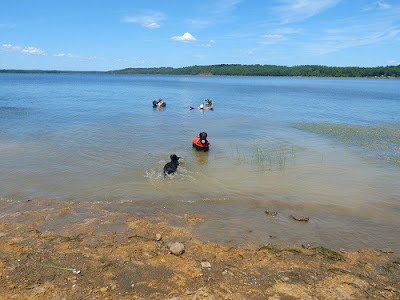 years, we have only just discovered the area of Lake Nacogdoches were dogs and beers are permitted. Better late than never! The last time we took Calvin to swim, it was at an ugly lake with a big drop just off shore. He did not appreciate that. 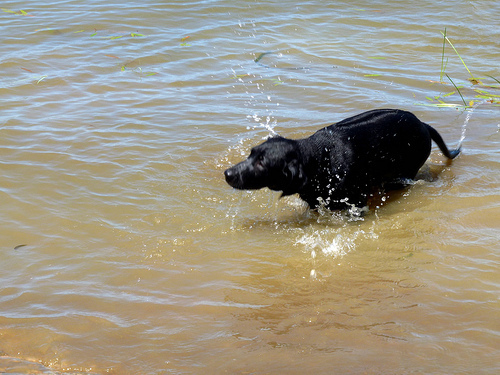 Lake Nacogdoches has a nice shallow area where he could get his feet wet and test the waters, so to speak. After a few minutes of coaxing, and watching Seamus happily paddling around in his float coat, Calvin took the plunge! 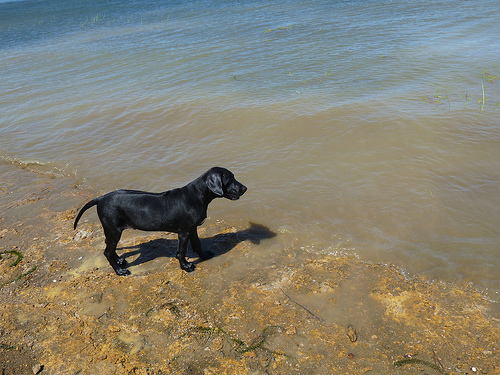 Turns out pup is a great swimmer! The rest of Saturday was spent quietly napping on the couch - "quietly" being the key phrase here. I do believe weekend trips to Lake Nacogdoches will be a regular occurrence in these parts. Also, I can't wait for Calvin to get his own float coat, but we'll have to wait until he's full grown for that investment. And with that, I'm off to bed. Hope you had a good weekend, too!